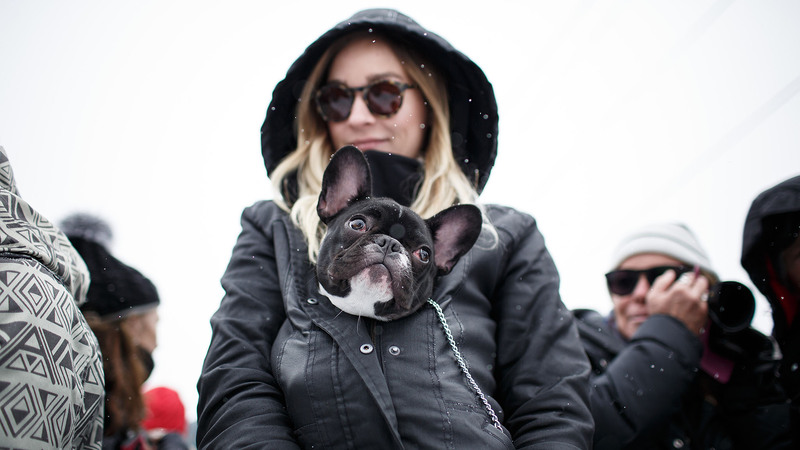 Women's Snowboard SuperPipe wrapped up four days of action and music here at X Games Aspen 2016 in Buttermilk, Colorado. 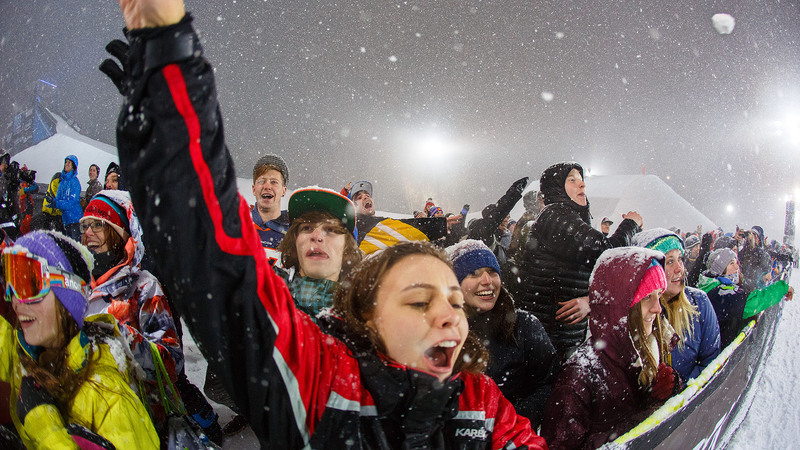 Youth and powder dominated much of the weekend, which saw athletic highs and lows, triumph and loss, but above all, good times had by all. See you again next year. 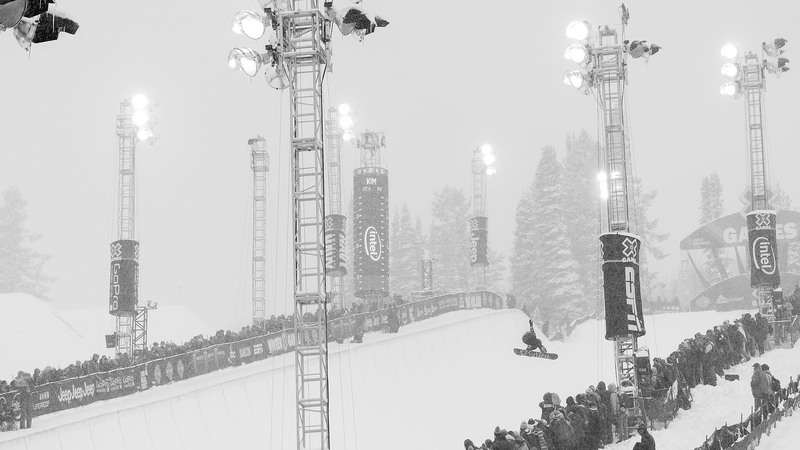 Gus Kenworthy was the only competitor at X Games -- ski or snowboard -- to compete in both Slopestyle and SuperPipe. He had never medaled at an X Games before. This year he took home silver in both events. "It feels so amazing. 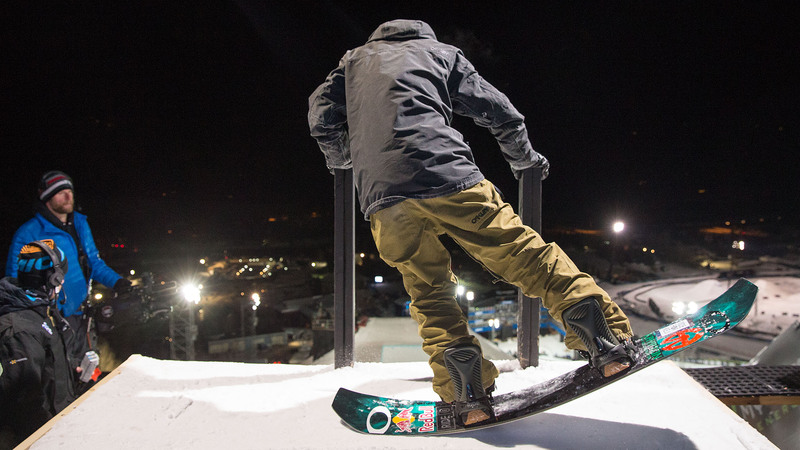 This is my fifth year competing in slopestyle at the X Games," he said. "Every year that I have competed, I have felt like I had a run that could land me on the podium, but I have struggled to put it down, whether I've fallen or made mistakes. My third run today was as clean as I could have done it, and to get on the podium and to get another silver medal feels so good." 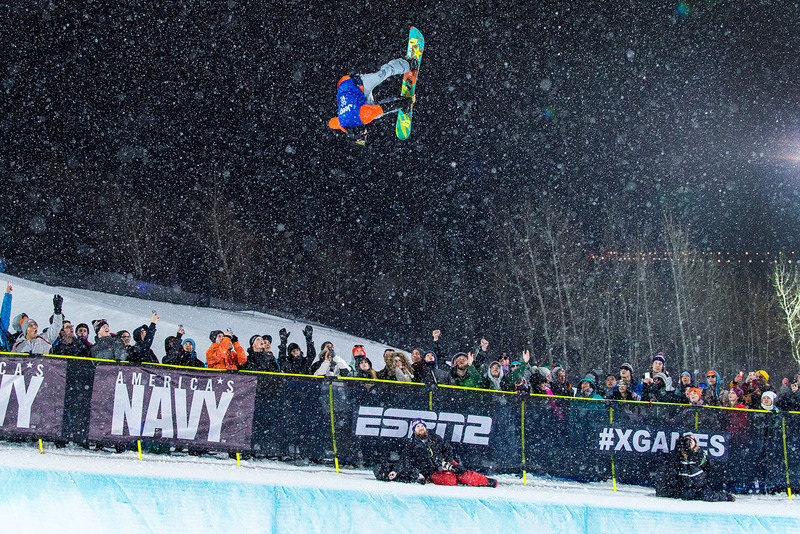 Gus Kenworthy was the only competitor at X Games -- ski or snowboard -- to compete in both Slopestyle and SuperPipe. He had never medaled at an X Games before. This year he took home silver in both events. "It feels so amazing. 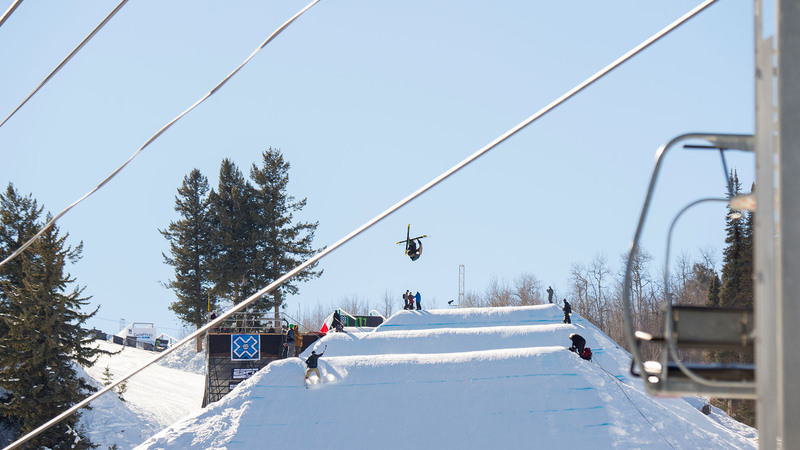 This is my fifth year competing in slopestyle at the X Games," he said. "Every year that I have competed, I have felt like I had a run that could land me on the podium, but I have struggled to put it down, whether I've fallen or made mistakes. My third run today was as clean as I could have done it, and to get on the podium and to get another silver medal feels so good." In the 10 years that New Zealand's Jossi Wells has competed at X Games he has stood on four podiums, for Slopestyle and SuperPipe, but had never won a gold ... until today. Wells' mother and wife were on hand to witness the momentous occasion. The announcers of the Men's Ski Slopestyle broadcast made sure to let the audience know that eventual gold medalist Jossi Wells was the only married competitor in the field. Not as much was made about him being the only competitor with a dog waiting in attendance at the bottom of the course, but perhaps they should have. 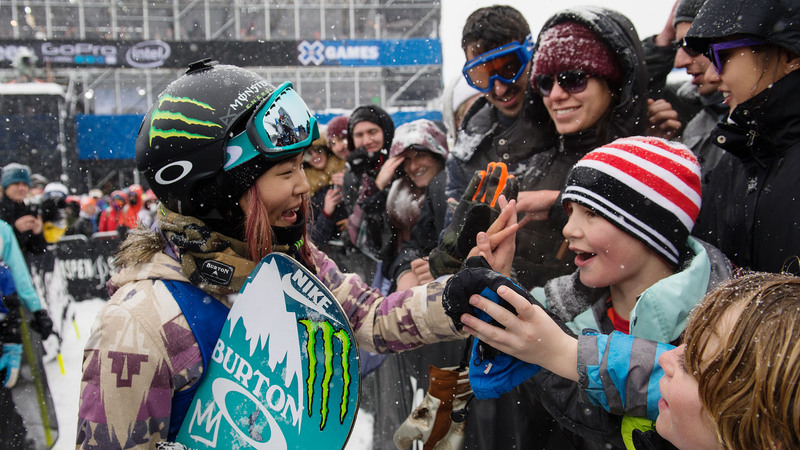 Chloe Kim's record as the youngest gold medalist in X Games winter event history was shattered when 13-year-old Kelly Sildaru won Women's Ski Slopestyle on Friday. Kim gained another first on Sunday when she defended her 2015 gold in Women's Snowboard SuperPipe and became the first athlete in the 45-event history of X Games to win two gold medals before turning 16. Much has been made of the "rivalry" between (friends) Chloe Kim and longtime SuperPipe dominator Kelly Clark, as well as the general skill level of Kim herself. And while it's true that Kim is the only competitor in the field to have a solid 1080 tail grab, Arielle Gold, pictured here, is the only woman throwing Michalchuks in the pipe, and she was rewarded with a silver medal for her efforts. X Games Aspen 2014 Ski Slopestyle silver medalist McRae Williams, pictured here, was hoping to become the first skier ever to throw back-to-back triples in a contest. Unfortunately, Alex Bellemare, who dropped in the beginning of the field, decided to claim the feat first. 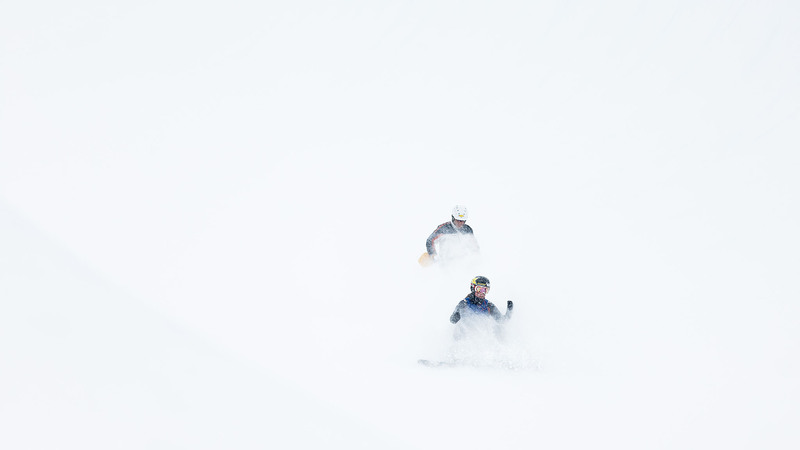 The storm that hit Aspen, Colorado, on Saturday night continued into Sunday, making conditions especially challenging in the Men's Ski Slopestyle event. The bottom three jumps in the course were barely visible in the snow and flat light, leading to heartbreak for more than one competitor. 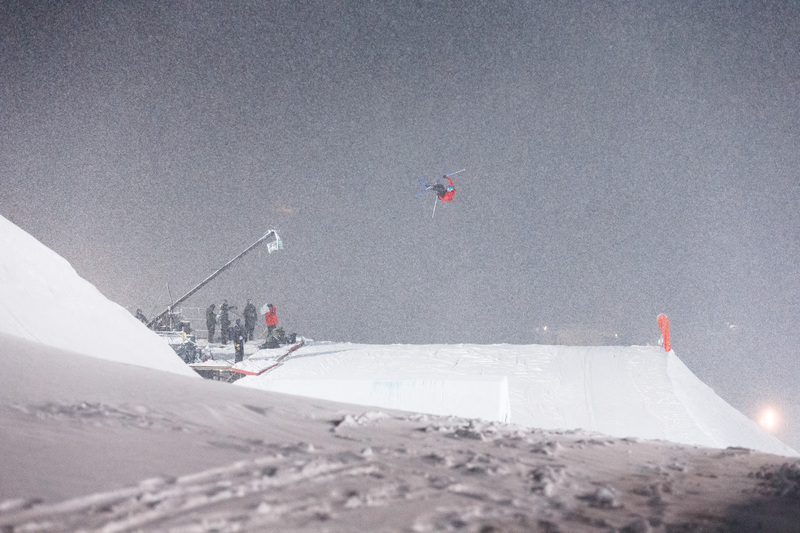 Britain's James Woods killed it in the rail section, but finished just one spot off the podium in the end. Despite the fact that Nitro Circus' Trevor Jacob, seen here in black, has less than a week on snow this year, and was riding on a hurt ankle, he managed to get into the finals, where he was hoping to dedicate a win to a recently fallen friend. Unfortunately, he got edged out in a corner and came across the finish in fifth place, while Jarryd Hughes took the gold. The final race between Lindsey Jacobellis and 2014 Sochi Olympic Snowboard Cross gold medalist Eva Samkova came down to a literal photo finish. Here Jacobellis sits at the bottom of the course asking if she won while the judges review the tape to determine the winner. 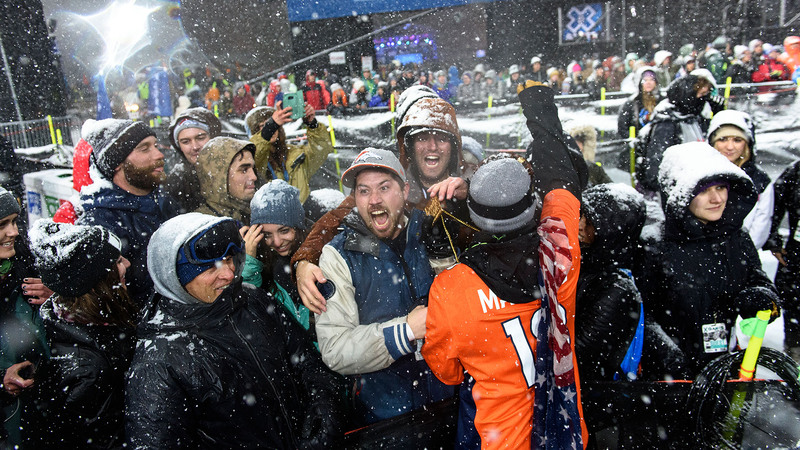 It was a game of beat the clock Saturday at X Games Aspen -- an impending snowstorm threatened to move in all day. 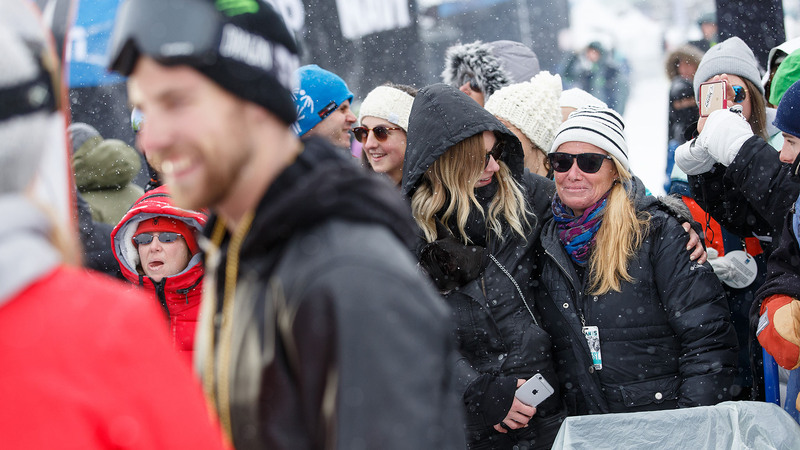 The snow arrived at the same time as the crowds flocked to see Men's Snowboard SuperPipe and stayed long after the crowds had gone home. 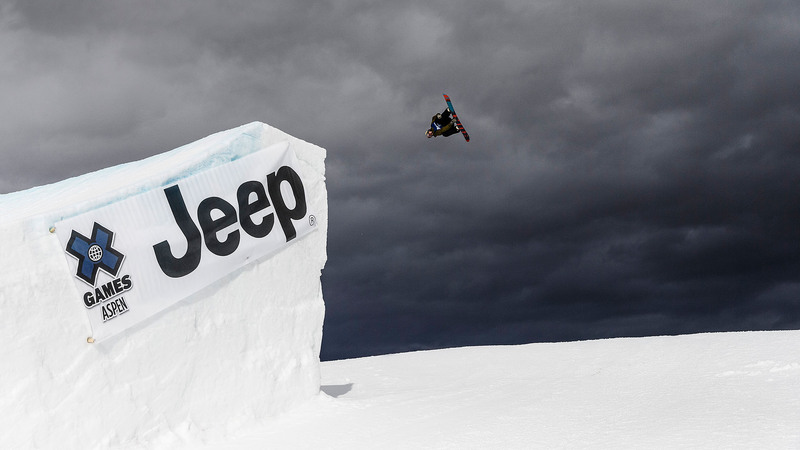 Mark McMorris has had a banner year. Not only did he win both the Snowboarder and TransWorld Magazines' coveted "Rider of the Year" crowns, he also successfully defended his X Games Snowboard Slopestyle champion status. His win Saturday brings his gold-medal total to four. Seb Toutant handily won the Snowboard Slopestyle in his rookie appearance at X Games Aspen in 2011, but has had difficulty making the podium in Aspen since. 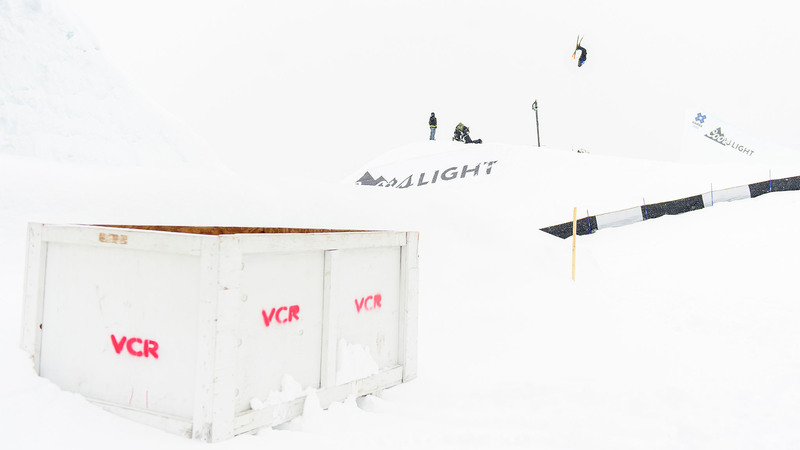 That changed Friday, when he put down a solid run that only Mark McMorris could top. Newcomer Mons Risland, who turned 19 just two days ago, came in at a solid third place. 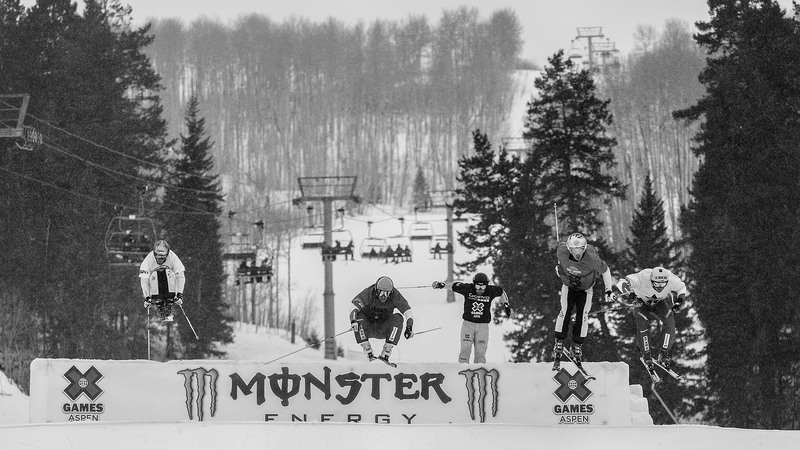 Skier X made a comeback at X Games Aspen on Saturday after a four-year hiatus. Racers put down solid times, despite the arrival of a snowstorm that eventually shut down Men's Snowboard SuperPipe later on in the evening. By the time Run 2 of the Men's Snowboard SuperPipe Finals came around, so much snow was falling in the pipe that competitors couldn't even get enough speed to get into it. Sport organizers decided to call the competition and let the first-run scores stand, giving Matt Ladley his first-ever X Games gold. Though everyone likes to see a heated competition go down -- and despite the fact that SuperPipe stars such as Ayumu Hirano, Danny Davis and Iouri Podladtchikov didn't get to rebate their first runs -- no one can argue that the podium finishers didn't put down legitimately exciting runs. The last event of Saturday night, Ski Big Air, ran in blizzard conditions. The competition was as exciting as ever, despite the fact that most of the competitors couldn't generate enough speed to hit the jump during the second half of it. In the end, Fabian Bosch landed in the gold-medal position, while Colorado's Bobby Brown, pictured here, and Elias Ambhl took silver and bronze, respectively. "Last time I competed I broke my back, smashed my face, and took home the GOLD," Kelsey Swerwa posted on Instagram before taking gold in Women's Skier X on Saturday. "It was totally worth it but this time I'm planning to land on my feet." 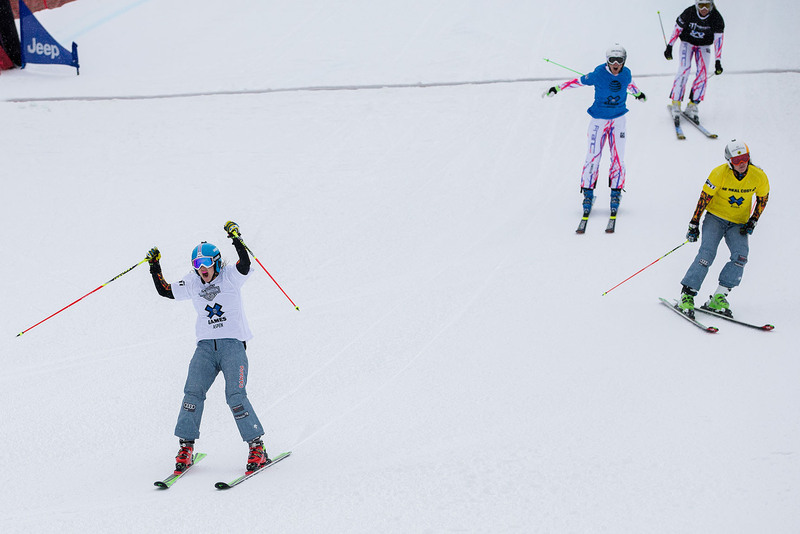 Serwa, who famously crashed at the finish line while taking gold in Skier X five years ago, was in full command this time around. Heading into the return of Snowmobile Freestyle at X Games Aspen 2016, all eyes were on 2014 gold medalist Colten Moore. Due to technical difficulties, Moore remained off the podium, but stalwart competitor Joe Parsons managed to come out swinging and stuck his landings throughout the competition. His signature backflip, the Parsby flip, in which he dismounts and remounts his saddle landing backward, sealed the deal for his gold-medal win on Friday at X. "It's been 10 years," said a tearful Spencer O'Brien, who has been competing in Women's Snowboard Slopestyle at X Games since 2007 but hadn't won a gold in the event until her switch backside 720 landed her at the top of the podium Friday afternoon. "Ever since I was a little girl, this was all I wanted. 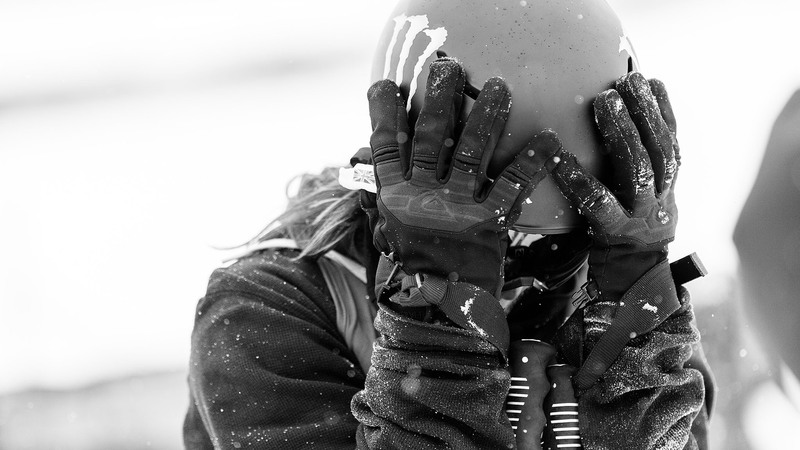 I'm so honored to be a part of women's snowboarding." Thirteen-year-old Kelly Sildaru, a pint-siz freeskier from Estonia, made history on Friday when she topped the podium in Women's Ski Slopestyle, becoming the youngest athlete ever to win a gold medal at a Winter X Games. The video of her run immediately went viral, with fans from all over the world offering congratulations in multiple languages on Facebook. 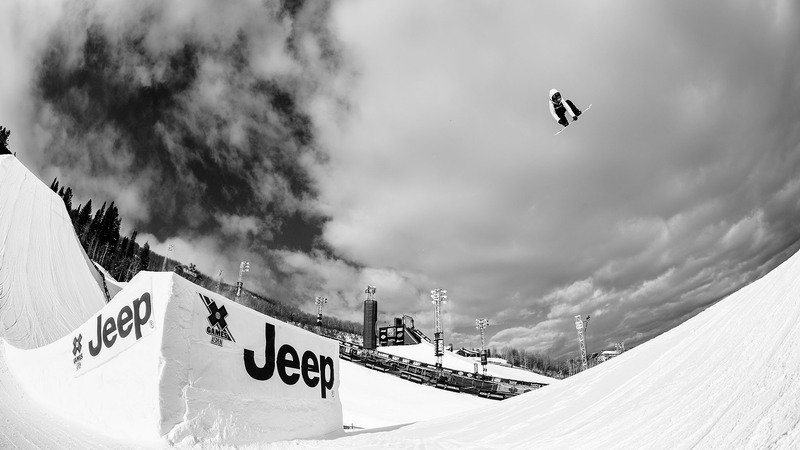 Yuki Kadono readies to drop in to the Snowboard Big Air jump on Friday night at X Games Aspen. Kadono had board issues and missed most of the final trying to fix them. He managed to get back up to the top of the jump before the contest ended, however, and landed a trick that secured him the bronze medal. 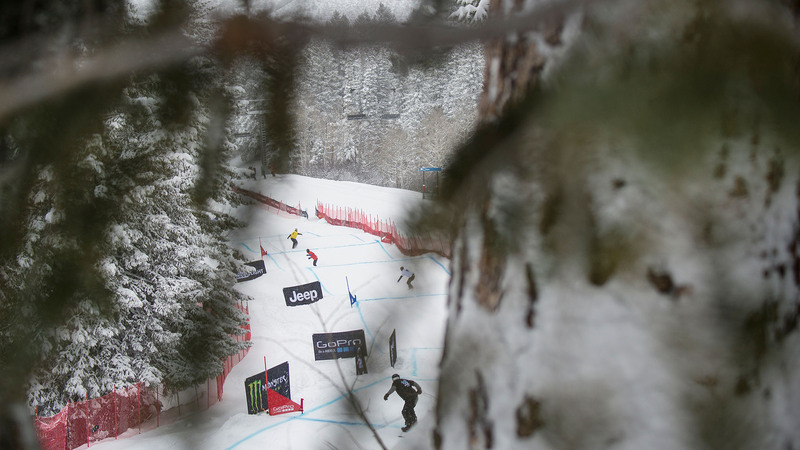 Willie Elam brought journeyman's approach to his eighth X Games event appearance. A former SnoCross racer and accomplished backcountry rider, Elam refocused his training exclusively on freestyle this year. 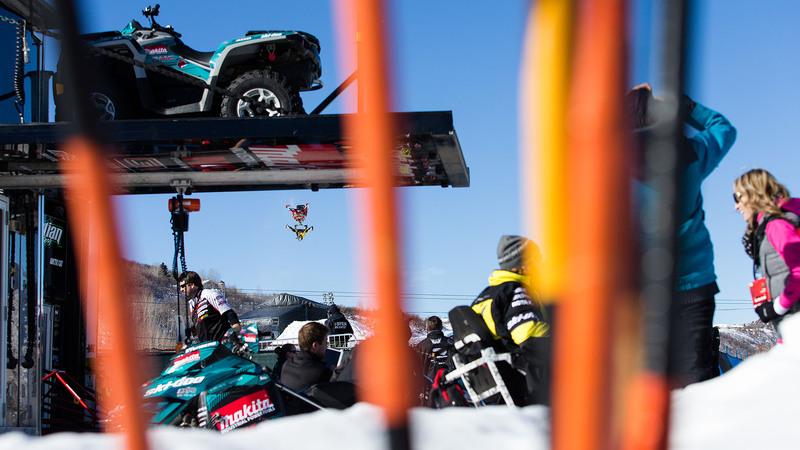 He tied his best-ever X Games finish of fifth place in Friday's Snowmobile Freestyle Final. Former Big Air champion Max Parrot is the only rider in Snowboard Big Air to have successfully landed a quad, and the buzz Friday was all about whether or not he would try to become the first one to land one in competition. Parrot was on fire during practice. Conditions weren't right during the final to throw the new trick, but he still rode away with the gold. 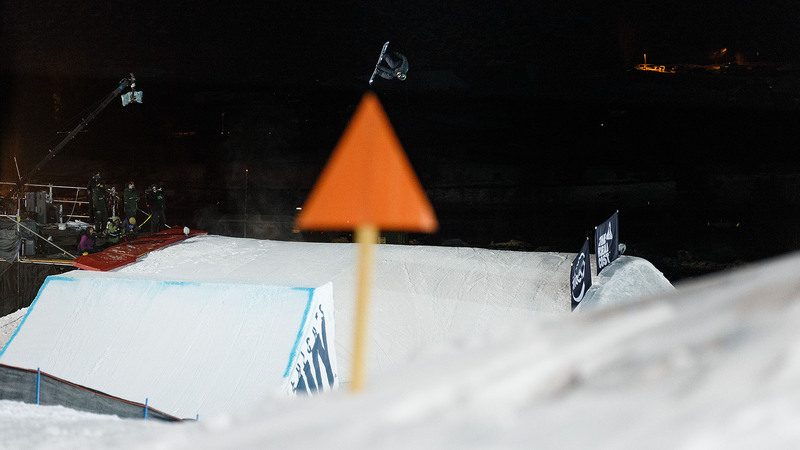 Rumor from Women's Snowboard Slopestyle practice had it that Jamie Anderson was landing double cork 900s; and if she was able to put one down in the Final it would raise the bar for women's snowboarding forever. Nerves got the better of her on the first two runs of the final, however. She didn't throw the double on her third run, either, but she managed to put enough tricks together to land in silver-medal position anyway. 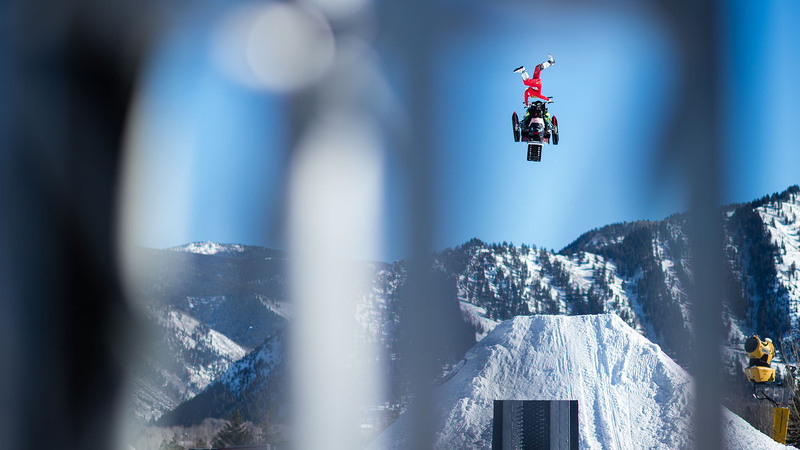 Snowmobile Freestyle veteran Heath Frisby might be more comfortable in a Best Trick setting (he was the first to land a Snowmobile Frontflip several years ago at XG), but Frisby showed a relaxed, more consistent side of his riding on Friday at X Games Aspen 2016. In between some of the most clicked KOD backflips, Frisby threw out classic moves, such as this Indy air, proving to the crowd that classic style mixed with insane maneuvers is a recipe for success. Frisby finished with the silver medal. 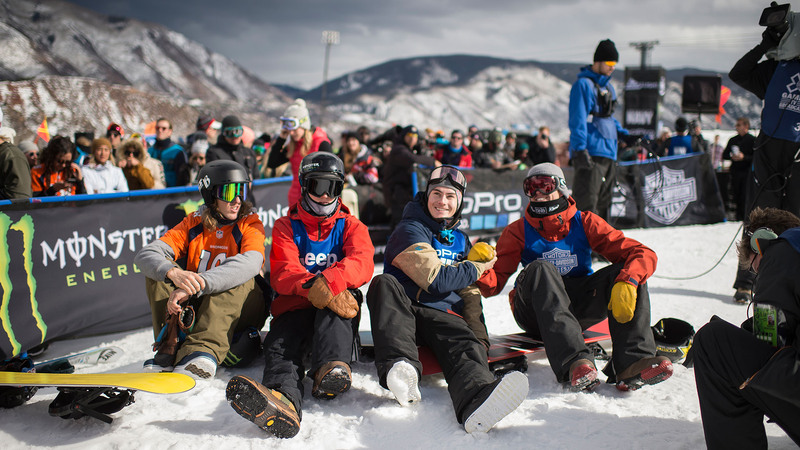 All of the action of X Games Aspen 2016 kicked off Thursday, starting with the Special Olympics Unified Snowboarding Dual Slalom race, leading into Snowmobile SnoCross and Snowmobile SnoCross Adaptive, and finishing off with Men's Ski SuperPipe. All eyes were on Gus Kenworthy in the Men's Ski SuperPipe final after he landed five doubles in what he claimed was one of the best X Games contest runs of his life. 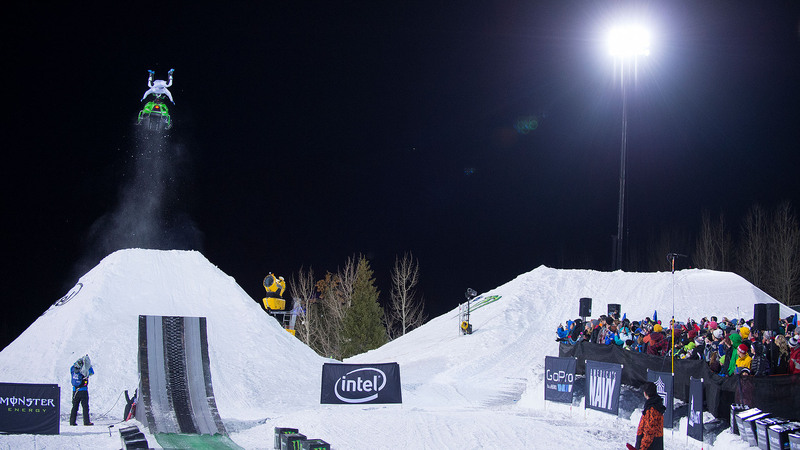 He sat in first place until X Games Aspen 2014 SuperPipe silver medalist Kevin Rolland, pictured here, dropped in for the last place of the night. Kevin Rolland's score came in one point higher than Kenworthy's, giving him the gold and bumping Kenworthy into silver medal position. The Special Olympics Unified Snowboarding Dual Slalom event pairs 10 Special Olympians with 10 X Games stars and combines their times in a dual-slalom race to determine a winner. 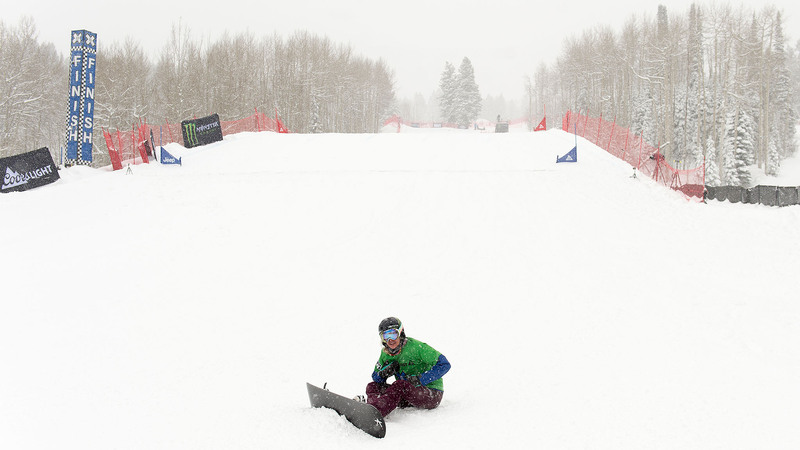 Daina Shilts and Hannah Teter, pictured here, took bronze in the feel-good event that kicked off the action of X Games Aspen 2016 on Thursday morning. Tucker Hibbert won his ninth consecutive SnoCross gold on Thursday, tying BMX Vert star Jamie Bestwick's record for most consecutive gold medals at X Games. Racers such as Marcus Johansson, pictured here, gave it their best, but surrendered to the most dominant SnoCross racer in X Games history in the end. 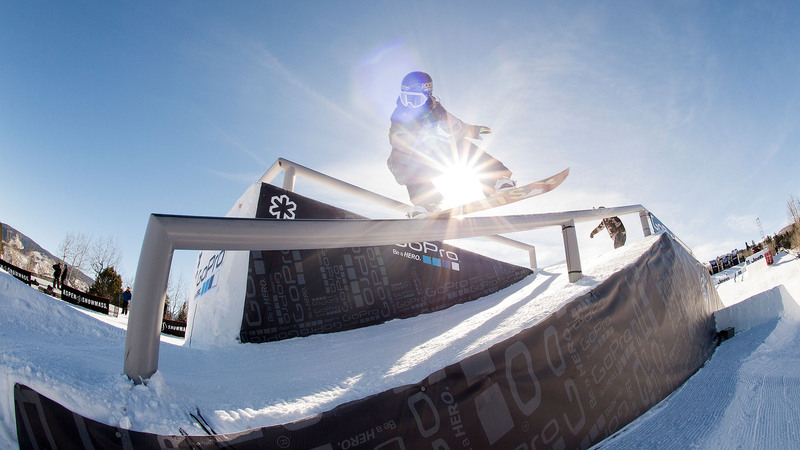 At X Games Aspen 2013, when the focus was on Kaya Turski's quest for a four-peat in Women's Ski Slopestyle, Tiril Sjstad Christiansen, then 17, scored gold as a rookie and became the youngest female Ski champ in XG history. Then she tore her left ACL in Dec. 2013 and missed the 2014 Olympics and X Games in both 2014 and 2015. In Feb. 2015, she returned to competition and has made the podium in all six events she has entered. Returning to X Games for the first time since 2012, two-time FIS World Snowboard Champion Alex "Chumpy" Pullin is hungry for an elusive Boarder X podium. Another winter transplant from snowless Australia, Pullin is gunning for his first final after five consecutive finishes just outside the top 10. 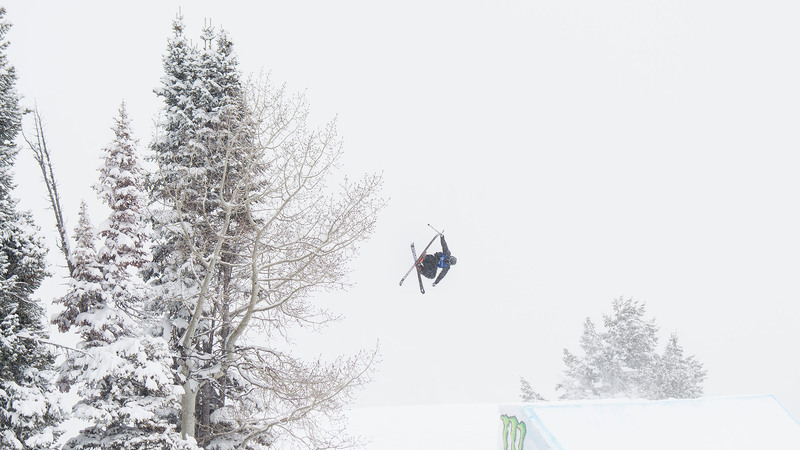 Defending bronze medalist Alex Bellemare, known for his rail skills, perfects his airs in Men's Ski Slopestyle practice as he aims for a repeat podium in Sunday's Final. 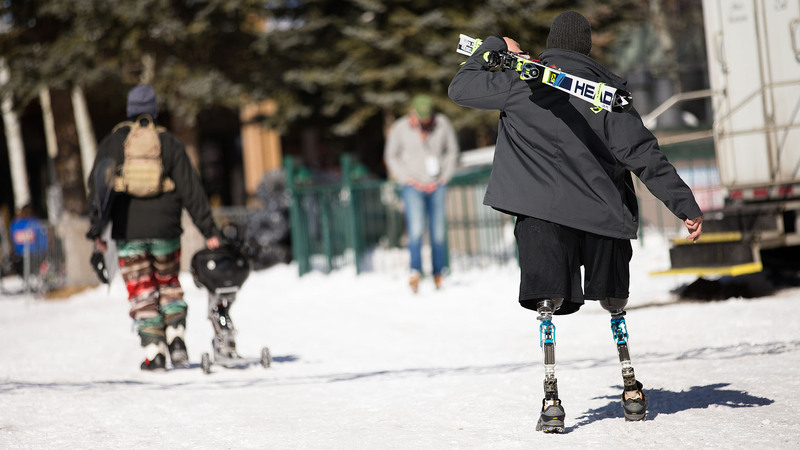 Mike Schultz is a three-sport X Games athlete with the most Adaptive gold medals in XG history. On Thursday at X Games Aspen, he beat the competition field in SnoCross Adaptive by over a minute, and now has seven XG gold medals between Moto X Racing Adaptive and SnoCross Adaptive. Athletes arrived since Tuesday testing the courses and getting ready for the competition, which and runs through Sunday, Jan. 31. Two-time Mono Skier X silver medalist Brandon Adam had to unfortunately withdraw from competition on Wednesday after injuring his left shoulder in practice. The rest of the Mono X field will race on Saturday morning at 11 a.m. PT. 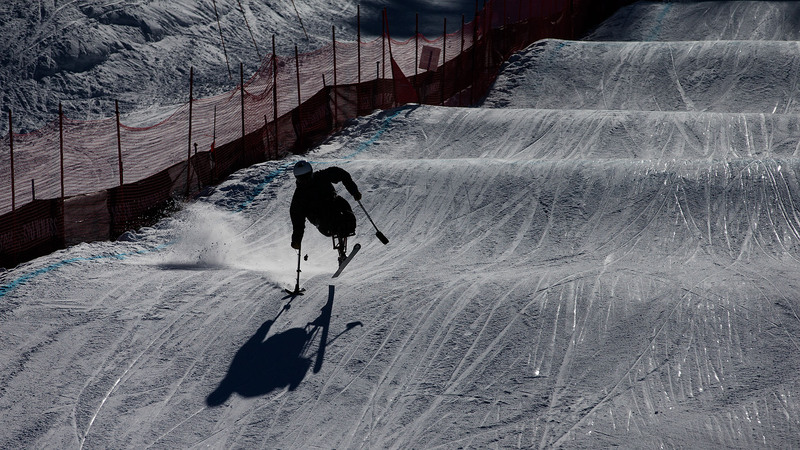 Four Adaptive events will be contested this week on Buttermilk Mountain in Aspen, Colorado: SnoCross Adaptive, Mono Skier X, Snowboarder X Adaptive and Skier X Adaptive. SnoCross kicks off the Adaptive events on Thursday, followed by Mono Skier X and Skier X on Saturday, finishing up with Snowboarder X on Friday. All freestyle ski and snowboard competitions this year will be held as Finals-only competitions -- meaning there will be no Elimination rounds. Norway's Oystein Brten, pictured here, didn't make the Final last year. 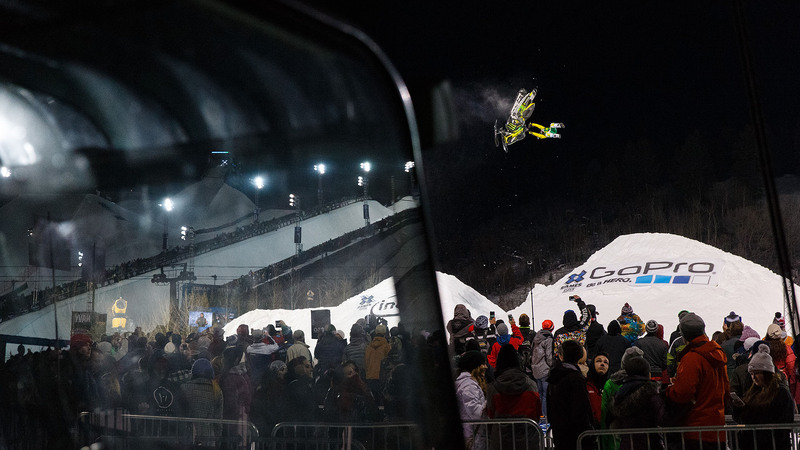 This year, he's coming in with a second-place Dew Tour win under his belt, ready to make his first podium at X.
Nineteen competitions in three sports will be contested at XG Aspen 2016, including Monster Energy Snowmobile Freestyle. On Wednesday afternoon, defending gold medalist, Colten Moore, who won the event the last time it was held in 2014, practiced hard for another win. 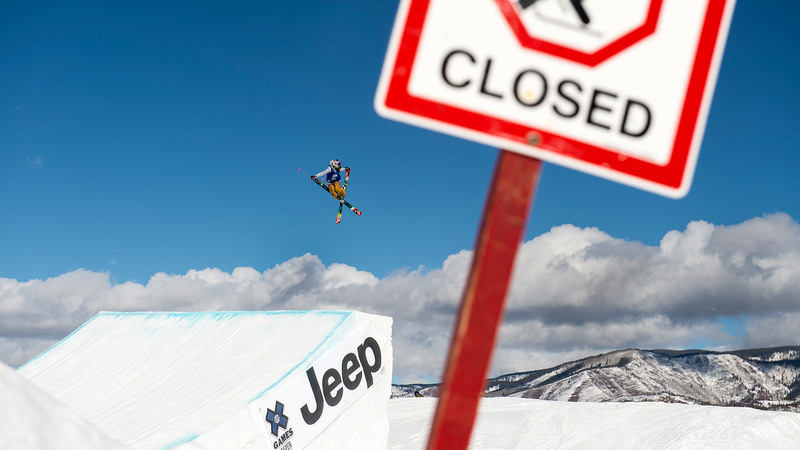 Ten-time X Games Slopestyle medalist Jamie Anderson is rumored to have landed a double cork in practice Wednesday. Veteran competitors such as Cheryl Maas (pictured), who incidentally was the first woman to land a 900 in competition, are going to have to bring their A-game if they want to top the podium ahead of Anderson when the Final goes down Saturday morning.